Though the title hero herself, Lucy Lawless, cast doubt on a report that NBC was eager to revive “Xena: Warrior Princess,” NBC Entertainment chairman Bob Greenblatt has confirmed to The Hollywood Reporter that they are in the planning stages of a reboot on the series. Inspired by Greek mythology and filtered through a tongue-in-cheek blend of action and slapstick, “Xena” also starred Renne O’Connor as Gabrielle, Xena’s companion and traveling bard, with frequent appearances by Ted Raimi (Sam Raimi’s brother) as Joxer and Bruce Campbell as Autolycus, the King of Thieves. Lawless and Campbell are already set to work together on the upcoming Starz series, “Ash vs. Evil Dead,” also produced by Raimi and Tapert. 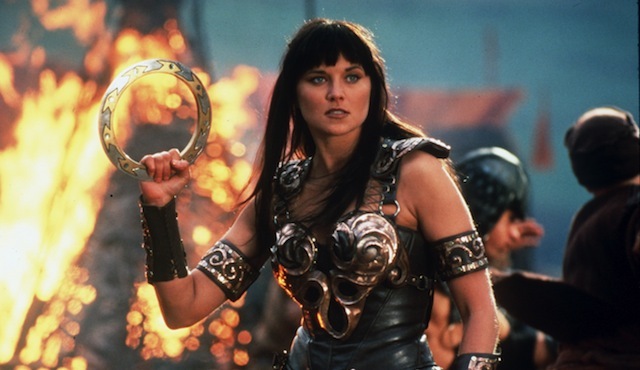 What do you think of the possible “Xena: Warrior Princess” reboot?